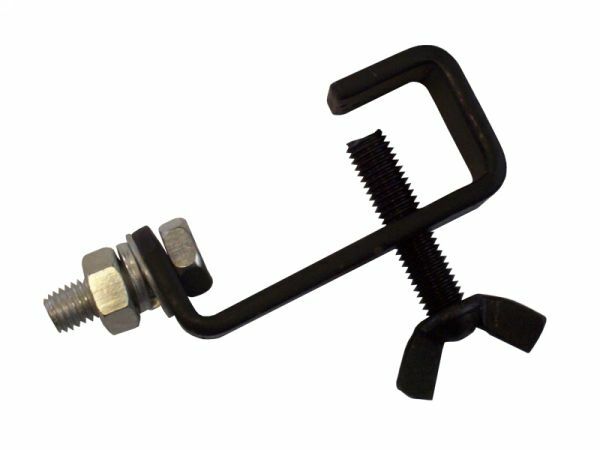 Rhino 25mm Hook Clamp (Prolight G Clamp CLAM08) from Rhino Strong metal G clamp designed for hanging lighting effects. Fits on bars up to 25mm diameter. Strong metal G clamp designed for hanging lighting effects. Fits on bars up to 25mm diameter. Rhino 25mm Hook Clamp (Prolight G Clamp CLAM08) IS NO LONGER AVAILABLE.